A truss junction is used to join pieces of truss together at many different angles, a 90° junction being the most popular. Truss junctions are available in 2, 3, 4, 5, and 6 way configurations, and at many different angles. Here at LDS, as can also custom fabricate any part, any angle, that your truss structure needs. All of our junctions are modular and therefore lengths of truss can continuously be added to a display system, allowing it to be constantly reconfigured to different shapes and sizes. This makes our truss exhibit booths long lasting. 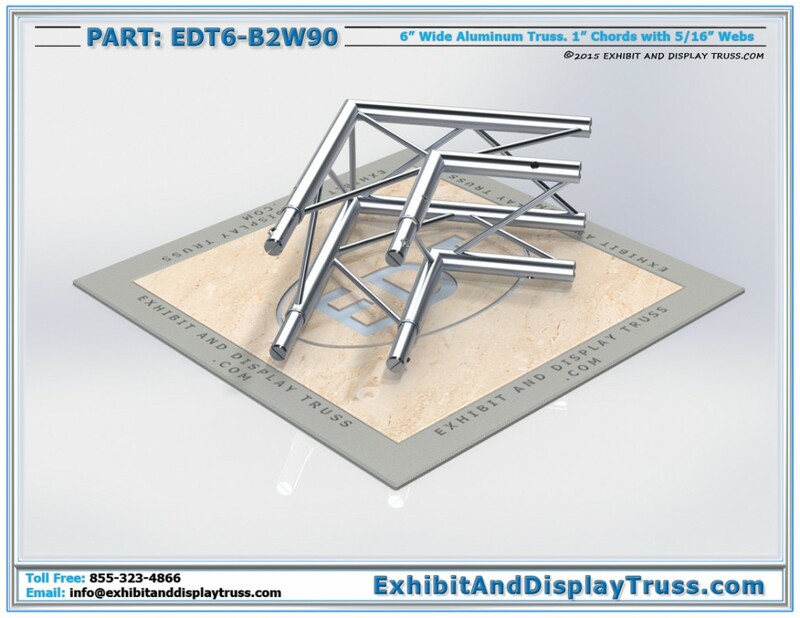 Because of all of our junctions are modular, they can be rotated in many orientations to build a display booth. AV joints and and Reinforcing truss collar are also an option for adding strength to a truss junction. All of our junctions come standard with connection inserts that are easy to use and last long. We also have the option of using a quick clip for a tool-less assembly.